Update: The images are not leaked, but based on leaked information. This year, Samsung will once again upgrade the Galaxy Note lineup incrementally, as it further stabilizes the lineup. 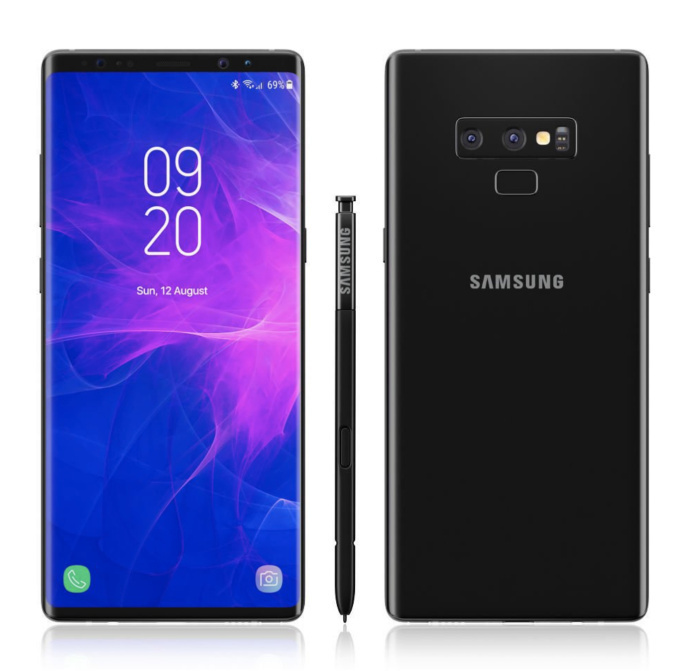 Last year’s Galaxy Note 8 was a crucial launch for the company as it had witnessed its predecessor, the Galaxy Note 7, fail at a global level. Samsung smoothed things out with the Galaxy Note 8 and will now further build on the device with the Galaxy Note 9. We’ve got six fresh renders of the phablet today which offer a unique look into the device. Take a look below for more details. Upgrading gadgets incrementally have several advantages for a company, especially one as large as Samsung. It ensures that previous manufacturing processes are reutilized, saving up costs of setting up new systems. It’s a strong incentive especially for a conglomerate which has to focus on a broad array of electronics and their component parts. Therefore, it’s no surprise that Samsung will once again upgrade the Note lineup incrementally this year. The Korean tech giant will follow the Note 8’s design language and introduce only minute changes to the device’s externals. One of these is a relocated fingerprint sensor, which according to several sources will now sit under the device’s rear dual camera setup. It’s a feature that has received widespread corroboration from multiple sources and subsequently, we are confident for it to make it on this year’s Note lineup. In addition to the relocation, Samsung will also bring the Note lineup’s rear cameras on par with the Galaxy S9/S9+ which created quite a bit of noise with their variable aperture sensors. Taking a look at today’s renders, we’re doubtful about their authenticity. 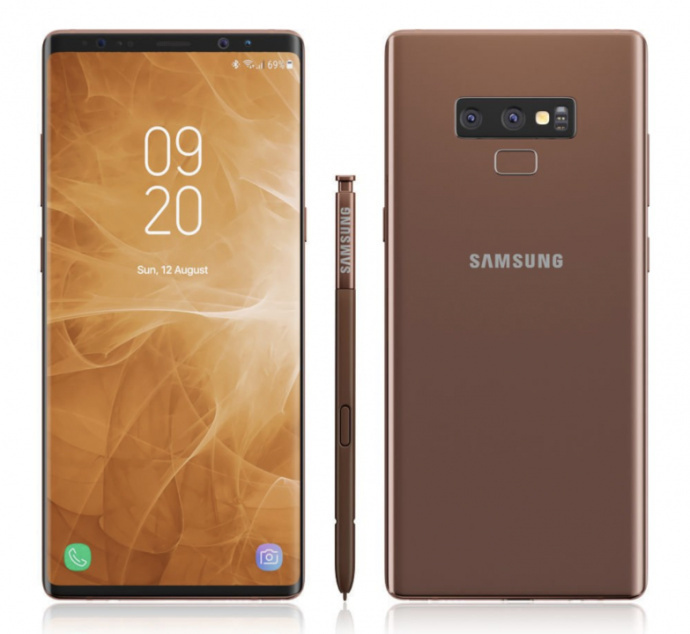 If you take a look at the pink and brown variants, looks like Samsung will color the device’s frame to match its theme. It’s either this or a solid phablet without a frame – an option which is highly unlikely. 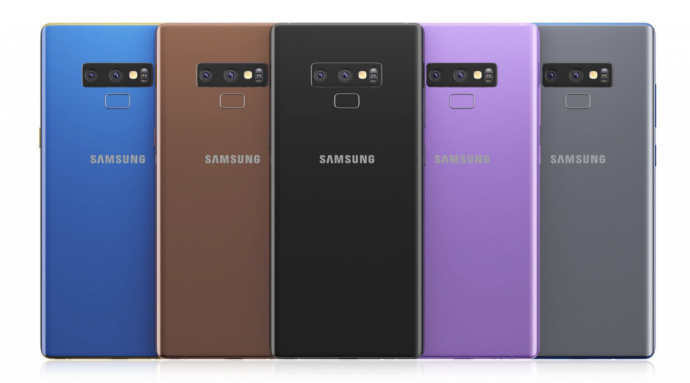 That being said, the images show how the combination of new color options, slightly stricter corners, and reduced top+bottom bezels provide the Note 9 with a look that’s distinct from its predecessor, despite the Note 8’s design influence being clearly visible. Additionally, they also provide a good look at the rumored brown variant of the device and show an interesting blue variant with a gold frame. 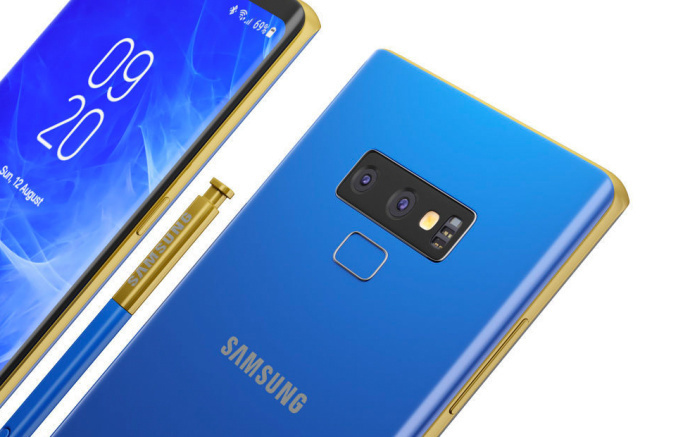 By the looks of things, the Samsung Galaxy Note 9 will launch in five color variants, with a special device that has a blue color theme and a gold frame. It’s expected that Samsung will launch an upgrade to Bixby with the device and improve the Note lineup’s UI. 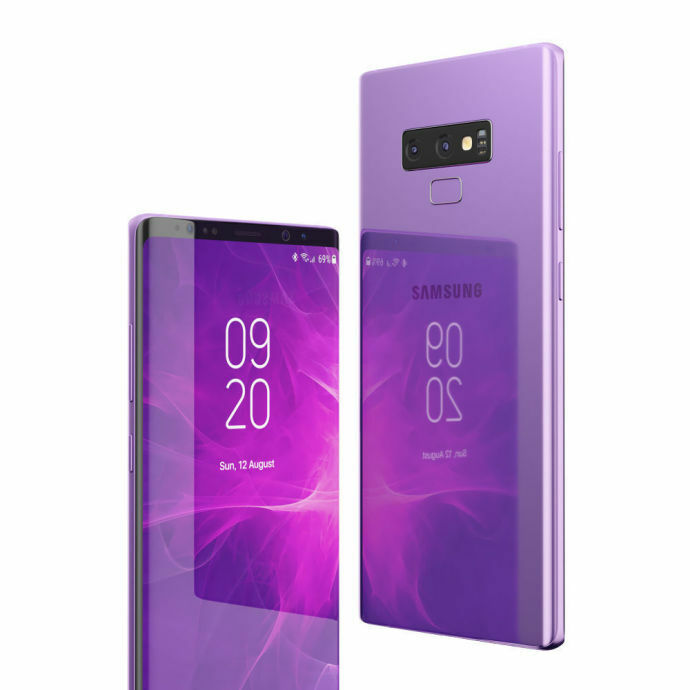 All in all, these Note 9 renders depict the device with a strict, tall look and design aesthetics that display how far Samsung has moved from launching gadgets with plastic backs. 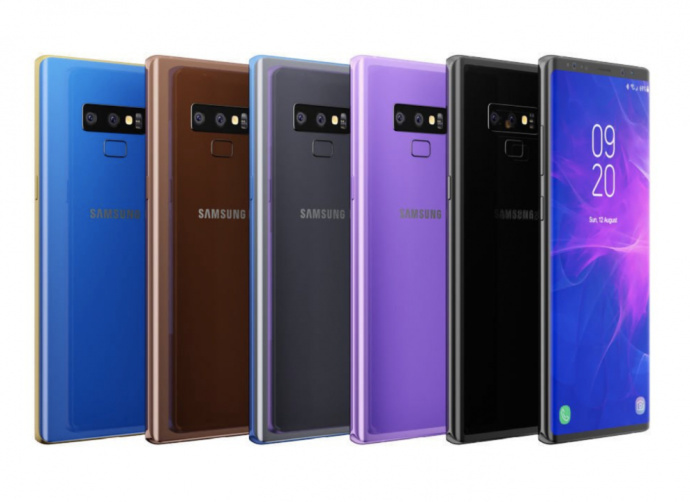 The Samsung Galaxy Note 9 will launch later this year and we’ll be here with all the updates. Till then, stay tuned and let us know what you think in the comments section below. We’ll keep you updated on the latest.